Operators of large industrial plants commission a large number of technical services on a daily basis with internal or external service providers. Initially planned only roughly and with time scope, these services are awarded to the service partners and further specified step by step. The implementation and experience should be digital, made on mobile systems, in order to be able to capture actual costs, processing status and documentation. But – unexpected often happens – there are delays and one would have to go back to the overall plan to reschedule from there. However, that being created weeks ago, it is outdated because the fine granular detailing of the implementation has not been updated. The deadlines that are issued to the participants at the lowest level must be detailed and precise. Concrete mobile workforce control needs concrete data. If on a certain day and at an agreed time for work on a gas line by service provider A, an accompanying security deposit by service provider B is required, then their employees must not arrive one hour late. A scaffold must stand when the technicians arrive. The manual synchronization of a large number of detailed individual appointments requires an enormous effort – especially between different partners – and then often takes place on the last mile on demand. 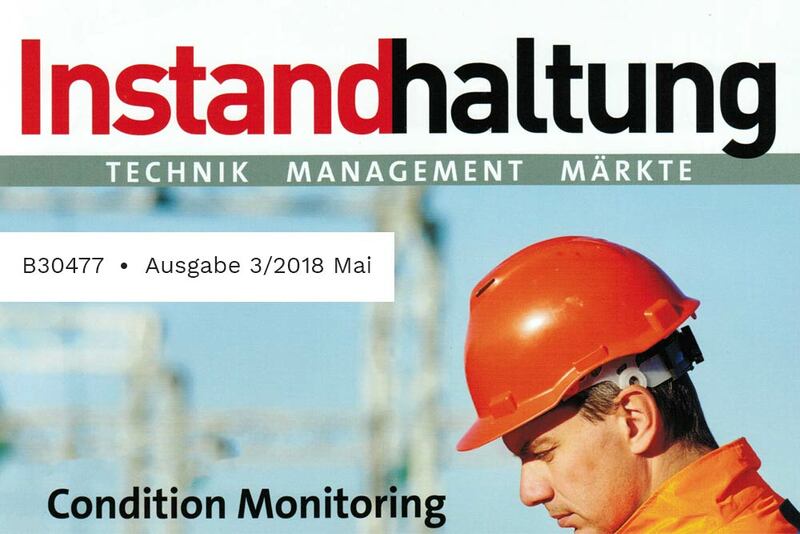 For a large plant operator in the field of petrochemicals and its more than 50 service providers, EL2 GmbH therefore supplemented its service management system with the module ‘eFLEXS project management’. The idea behind it – the superordinate planning of the in-house planner should generate the work packages and executable individual activities to be awarded at the same time. And not always with an ’empty MS project’, but more comfortable and faster based on standard work plans that contain plant system data (documents, checklists and geo-information, etc.) combined and parameterized in terms of estimated efforts. After a rough scheduling, the desired services can be pre-scheduled and offered to the standard suppliers with a reference to the service objects of high quality. The invitation to tender or direct assignment to a supplier can be initiated by mouse click directly from the planning board. 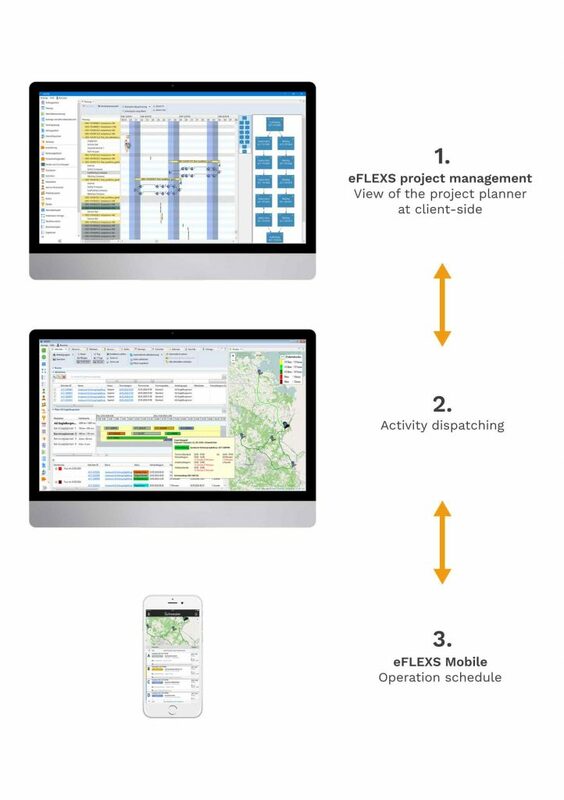 In order to connect the service providers with consistently digital processes, eFLEXS integrated service management system offers by default two different ways. Larger service providers, which often already have their own mobile system for field service, can receive a service order from XML-based openTRANS or another format from eFLEXS. Formats can also be specified business partner-specific. Service providers who do not yet have this option can be set up as a working group on the eFLEXS clients’ instance. These working groups receive defined access rights to participate in tenders electronically, to dispose of them independently within the set margins, to maintain resources and to carry out activities on a mobile basis. The technician on the part of the service provider has also direct access to the section of the service object data on which he is to provide the service. This means that system data can also be entered directly in the field service and transferred to the client’s asset management with minimal post-processing effort. The integrated mapping of the project plan and executable activities forces all involved to have an identical view of appointments at all times. The system thus represents a ‘single point of truth’, which no longer permits obsolete or inconsistent data layers. But how to deal with necessary appointment changes? In a complex network plan, the project partner who wants to be the first to initiate a change would possibly cause an inconsistent data situation that is not permitted per se. In addition, the change process should be transparent for all other participants and, if appropriate, only after consultation. However, since eFLEXS project management now ‘knows’ which activity has which assignment and processing status, a change attempt does not create a direct change, but rather a change proposal. And not just for the activity mentioned, but for all dependent activities, as long as the degree of change has an impact on them. There is thus a kind of alternative planning, which is only taken over in the current planning, if all participating agencies have agreed. The affected entities are actively notified and they can also comment on their approval / rejection for alternative planning. This does not mean that service partners should no longer speak directly to each other. You can continue to do that, but, in addition, there is also the possibility of offline communication. The planner visualizes the status of the appointment coordination directly in the project plan.